Easy on the eyes, and equally good, if not better, for your overall health and wellbeing. That is exactly what a good landscape has to offer you. A healthy landscape is part of what you will need for a healthy you, emotionally. 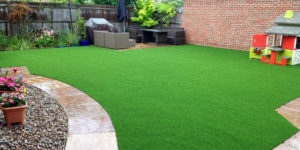 And when it comes to great exterior and interior design and landscaping, artificial grass is always an excellent option and you must want to about artificial grass prices in Perth. It’s always very refreshing to get out, take in the scenery and get some fresh air. Being outdoors can be quite the spirit lifter, and especially if you are surrounded by a healthy and breath-taking landscape. Synthetic grass is lush green and looks great all year long for a long time. You will most certainly not be disappointed looking out of your window into your green lawn. The synthetic grass is not only great to look at, but it is also very soft, and if you are at home, and looking to spend some time in the outdoors, you can comfortably take off your shoes and enjoy the feeling of your feet on the soft-textured grass. The fresh outdoors air, and healthy exposure to some sunlight can help relax and rejuvenate your mind. If you are a pet lover, artificial grass is very pet-friendly and you can enjoy some time with your pet outside together. This has a profound calming effect. Artificial grass can also be used indoors. Think of it as bringing a little bit of the outdoors into the indoors, in a curious case of the grass being always greener on the inside. The synthetic turf can be used as a flooring cover, and a creative decorative piece on the walls. How and where you choose to use the grass is up to you, and because the product is so versatile, the only thing limiting you is your creativity. A well-known fact in the interior design industry is that color can have a great effect on mood, which will positively affect output and performance in the workplace. At home, and in institutions such as hospitals, the same has been known to bring a feeling of warmth, relaxation and comfort. No doubt about it, your state of mind and emotions will affect your physical health, including your skin health. Stress and anxiety will trigger the production of the infamous stress hormone, cortisol, which can cause absolute havoc on the health of your skin. Acne breakouts and aggravated symptoms of other skin disorders is very common, when under a lot of stress. A relaxed mind can help you keep these hormones in check, and avoid all the problems that come with it. The color green has been proven to have a very calming and relaxing effect. With artificial grass, its more than just the color. The very look and feel of the turf inspires relaxation, and with it, many benefits, including a healthier skin.